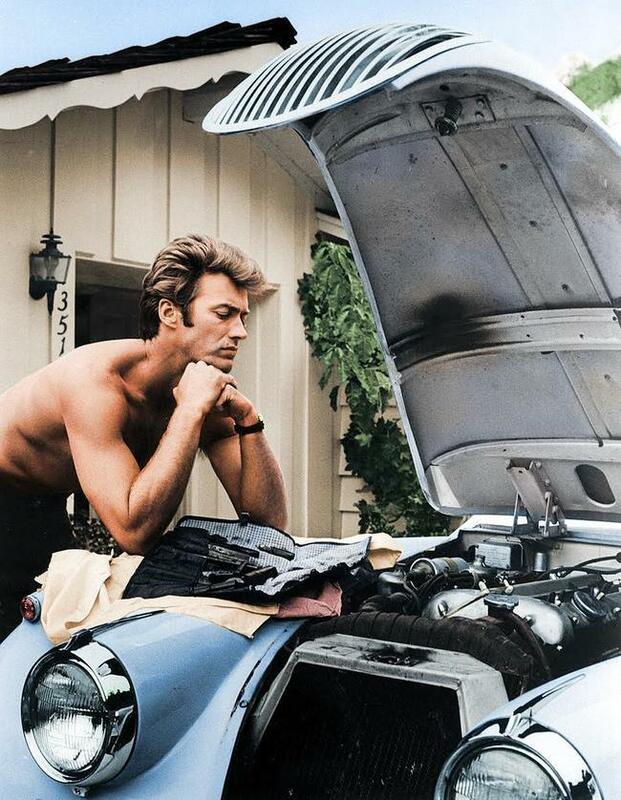 Clint Eastwood working on his 1958 Jag XK 120 in 1960 (colorized). Interesting that every time I worked on my car my hands and forarms showed it and there was no camera around, but then I’m not Clint. The photo would be entirely believable if it were Chuck Norris because his cars piss oil and refill themselves automatically once he steps outside. This entry was posted on Monday, 6 October 2014 at 12:05 AM and is filed under Automotive, Cool, Humor, Retro. You can follow any responses to this entry through the RSS 2.0 feed. You can leave a response, or trackback from your own site. kerbey– Yep, that car is hot.